It is the summer of 1994, and the Yugoslavian civil war has destroyed the town of Mostar, dividing it into two halves: the Moslems in the east, the Croats in the west. 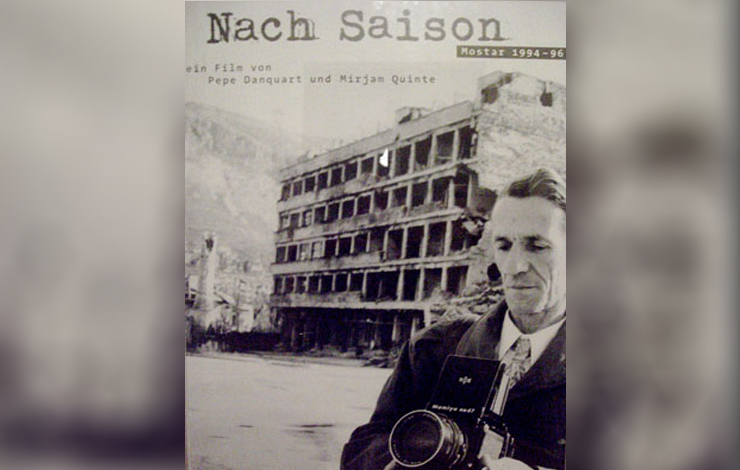 The film follows the efforts of Hans Koschnick, appointed as administrator by the European Union , to reconcile the inhabitants and rebuild the battered town. For two years the efforts continue against the devastating consequences of the war. PEPE DANQUART is a graduate of Freiburg University and the European Producers School EAVE. His film The Pannwitz Stare, produced with Didi Danquart, won the 1991 National Documentary Award in Germany, the Silver Plaq ue from the Chicago Film Festival and the Cle d'or at the Bruselles Film Festival. MIRJAM QUINTE is a graduate of Freiburg University. In 1978, she founded Media Workshop Frieburg, with Pepe and Didi Danquart, Michael Schlomer and Bertrand Rotermund; the Workshop produced more than 30 documentaries, many of which Quinte directed. She is managing director of Blueberry Films.